How do I adopt a daxie? Can a daxie be transported interstate? Yes but will be subject to the dog’s temperament and health. Adopters will be required to pay for airfares. How old do I have to be to adopt a D2DR daxie? You do need to be over 18 to adopt a Dachshund at D2DR, but we do assess each person individually. Are D2DR daxies fully vet checked before being rehomed? All daxies are vet checked and assessed prior to going to their furever homes. Does D2DR ensure vaccinations are up to date before rehoming? D2DR check that all vaccinations are up to date. Does D2DR desex all daxies before rehoming? Daxies are desexed prior to rehoming. If for whatever reason this cannot be done (eg: too young) a clause is included in Adoption Agreement giving a specified time to adopter for proof of sexing. A security bond is also payable refundable upon proof of desexing. What do I do if I am having trouble with my daxie following adoption? D2DR offer a two week trial for all Adopters to ensure the home and family is a perfect fit. We can also point you in the right direction to access Animal Behaviourist assessment as we do understand daxies can sometimes have a mind of their own! What do I do if I find my circumstances change and I cannot keep my adopted daxie? D2DR will always accept an adopted daxie back as we understand circumstances change. However if this occurs after the two week trial period adoption fees are non refundable. How do become a Foster Carer for D2DR? What does it mean to foster a D2DR daxie? Can I adopt a foster daxie and join the FFC Club - Failed Foster Carer ? What do I feed my foster daxie? Where should my foster daxie sleep? What if I want to help out but can't foster? What types of daxies are there? How much do daxies eat? What is D2DR's bank account and PayPal details? Is D2DR a Registered Charity? 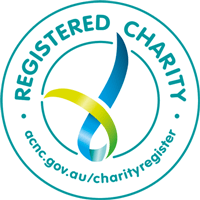 D2DR is a registered Charity with the Australian Charities and Not-for-profits Commission as at the 9th January 2015. Can D2DR accept tax-deductible donations? Can D2DR operate Australia wide? Is D2DR a not for profit organisation run by volunteers? D2DR is not for profit and run 100% by volunteers.